The programme will award 50.000 euro to 20 European start-ups every year, to finance their incubation in an incubation/acceleration supporting organisation of their choice . Big data produced by Earth observation has huge potential for the creation of innovative products and services. Applications have value in industry 4.0, mobile and digital, environment protection, management of urban areas, regional and local planning, agriculture, forestry, fisheries, health, transport, climate change, sustainable development, civil protection, tourism and others. 1. Boosting the use of Copernicus data and/or products from the Copernicus services by current or future businesses. 2. Supporting the most innovative and commercially-promising business applications based on Copernicus data and services in Europe. Copernicus is the European system for monitoring the Earth, coordinated and managed by the European Commission. It consists of a complex set of systems which collect data from multiple sources: earth observation satellites and in situ sensors such as ground stations, airborne sensors and sea-borne sensors. It processes this data and provides users with reliable and up-to-date information through a set of services related to environmental and security issues. 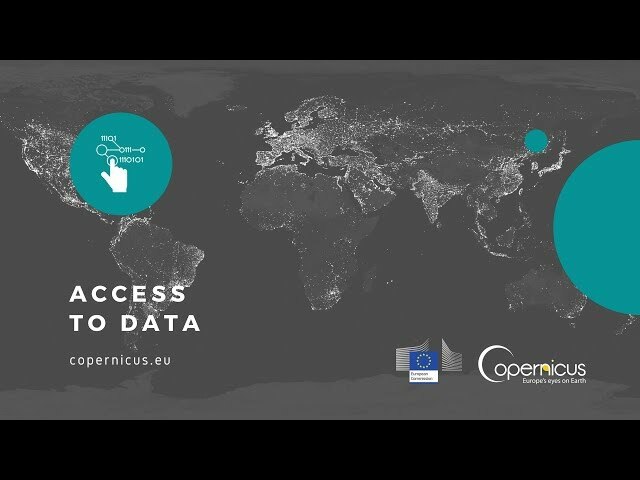 Learn where to find the Copernicus data, which tools you can use and where you can find help to turn your ideas into products or applications. 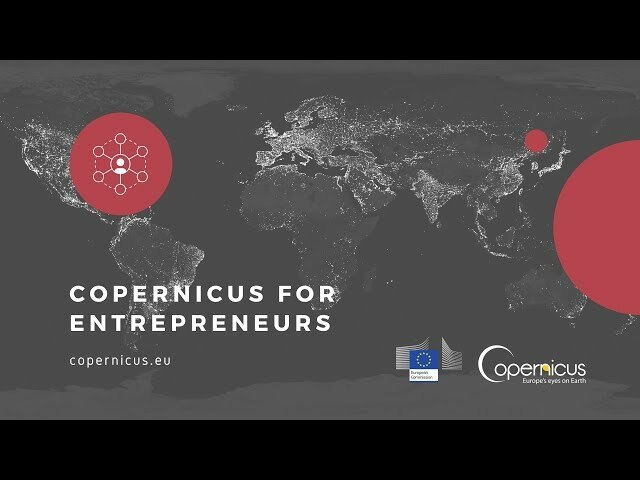 In this video, you will learn how Copernicus uses the cloud and how entrepreneurs and startups can access Copernicus data. We also present a case study of Sinergise and their product Sentinel Hub. In this module you will learn about mobile applications for citizens and how you can create your own app using Copernicus data. In this video, we present a case study of "Building Radar", an award-winning company that used Sentinel satellite imagery to give their customers information that they can use to increase their sales. In this video, we will look at how ship traffic and oil spills are monitored with Copernicus. In this module, you will learn how to access Copernicus Sentinel 2 and 3 data via the European Space Agency's Scientific Hub. In this module learn how to access Copernicus data via Sentinel Data Hub, Coordinated Data Access System (CSC-DA), EUMETCast, Copernicus Online Data Access (CODA), Data Center Long-Term Archive and EUMETView. This module provides a guide how to register for different Copernicus Services. This module will show how to view charts and maps in a time series viewer of Copernicus Land Cover Data and how to navigate the viewer and get the relevant information. Verhaert Masters in Innovation manages the Copernicus Incubation Programme on behalf of the European Commission (EC). This initiative aims to make meaningful investments in rise and international growth of Copernicus based start-ups in Europe. Verhaert Masters in Innovation is a leading integrated innovation group helping companies and entrepreneurs to innovate, create new products, businesses and services. The company has a cross-industry approach fuelled by multidisciplinary teams with expertise in design, technologies, engineering and business. © 2018. Design by Verhaert Masters in Innovation.